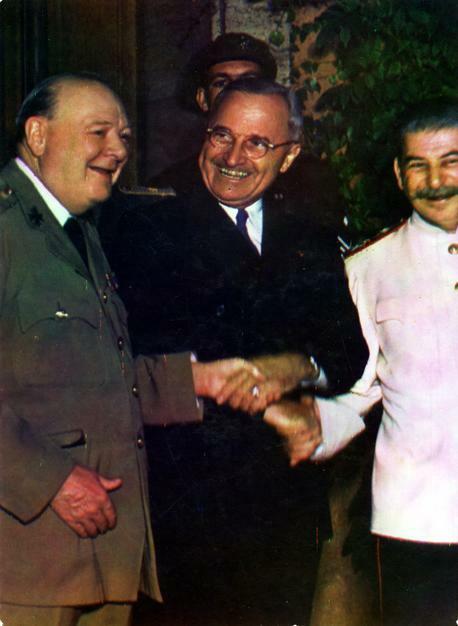 “Churchill, Truman, and Stalin, July 23, 1945 The Harry S. Truman Library and Museum, no.58-797, http://www.trumanlibrary.org/photographs/displayimage.php?pointer=2511 (Oct. 16, 2012). 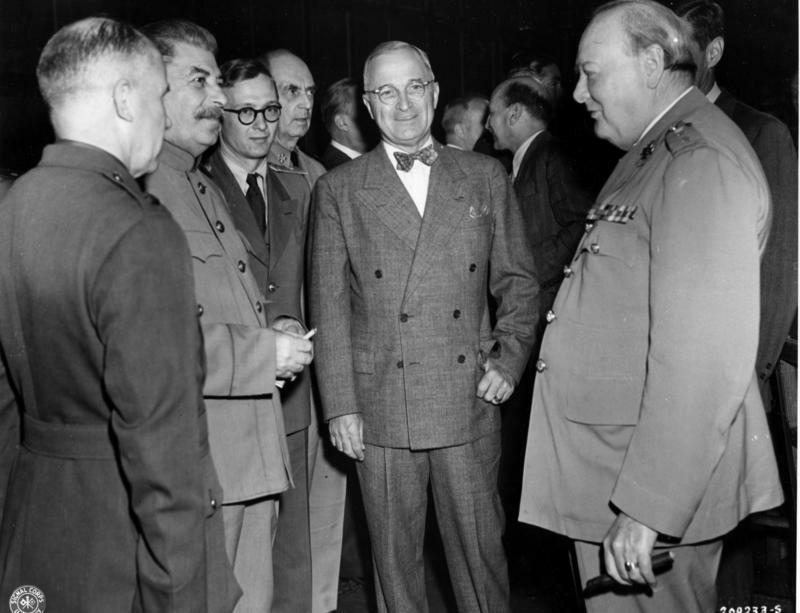 It seems to me that in working with the Cold War abroad, we might usefully emphasize how the “third world” viewed the conflict and even when citing sources from within the US (or Soviet Union if it’s possible), we should examine sources from outside the mainstream narrative. Novikov’s letter is great because it exposes the possibility of a US imperial interest, but also consider Ho Chi Minh’s “Appeal on the founding of the communist party…” and “Declaration of Independence…” to demonstrate the power of competing ideologies. Students can then ask questions about the degree to which either power lived up to it’s rhetoric (at least in the eyes developing world). Vietnam was “up for play” in seeking an ideology that would realize it’s national ambitions. In the US, you might explore Malcolm X’s efforts to “internationalize” the Civil Rights movement by connecting it to decolonization efforts around the world (often supported by the Soviet Union). As a counter weight, perhaps you could introduce some of Castro’s documents in which he accuses the Soviet Union (after the Cuban Missile Crisis) of going soft and not supporting international revolution. Thank you very much for your perceptive and knowledgeable comments on the last two blogposts for the Blueprint for History Education blog. For other lessons in the unit, we have already selected Ho Chi Minh’s “Declaration of Independence” and a piece by Malcolm X that emphasizes his views on the international connections of the civil rights movement (along with pieces by Martin Luther King and Mao Zedong on the same topic.) Beyond that, you’ve given me (as the world historian of the team here) much to think about. Thanks.